The roofed Chicken Run is 3 feet 6 inches long and is 3 feet deep. The Run roofing stops the run becoming a mud bath in the Winter and is of Onduline and matches the Hen House roofing. The House, Run and Nest Boxes all have Onduline roofing which is the preferred roofing for Poultry as it does not harbour parasitic red mite unlike felt plus it outlast normal felt by years and years, it also allows vital air circulation through the Chicken House. The Shiplap cladding the Chicken House and all Run framework is smooth square planed tanalised pressure treated timber for excellent rot protection and is screwed together for strength and durability, the finish is a natural colour. Additional Option - The underneath of the Chicken House, the Chicken Run end and back of the Chicken House can be fully weather boarded to make a complete closed end to give shelter to the Chickens from driving wind and rain, we also create a small door under the main Chicken House door so feeders and drinkers can be placed underneath the Chicken House. Additional Option - The Run length can be increased by adding panels in modules of approx 3 feet long, each module has a front and back panel plus Onduline roofing with supports. Additional Option - We can finish our Chicken Houses in many colours, we use mainly Cuprinol Garden Shades or the Farrow and Ball range of exterior paints. What an excellent product and a real pleasure dealing with people who have a genuine interest in what they sell. Polite and courteous from the start and full of helpful hints. Our girls were collected the day after our house was built. They must be happy with it as we had 3 eggs on the first day!! They love the ladder and have made it into a game running up and down it, and are currently digging f..
Ian turned up today on time with our new home for our chickens, What a very helpful and informative man, we are so happy with the new house it looks amazing and has all the extras we wanted it looks fantastic as well as being strong and well manufactured, we really couldnt be happier if your looking for a house for your chickens look no further you wont find a better home anywhere. 10 out of 10 ;O..
Mark & Ian turned up bang on time as promised and were incredibly friendly helpful guys that have obvious pride in their products.And quite rightly too as our new Edward Hen House is absolutely brilliant. 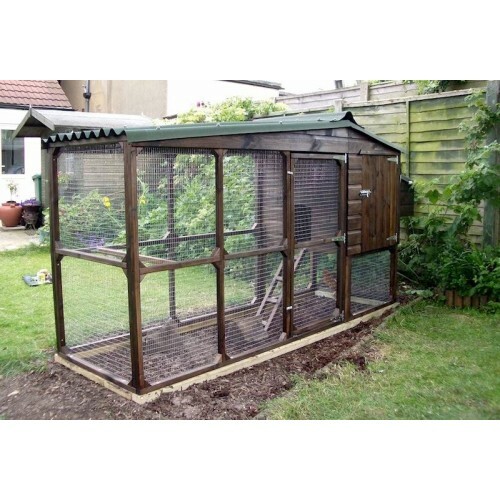 We spent a long time looking around and searching for a chicken coop on e-bay, on the net and in pet shops and eventually stumbled onto this one.We were very lucky and have definately mad.. I am very happy with my Edward Chicken coop hen house and chicken run !!! 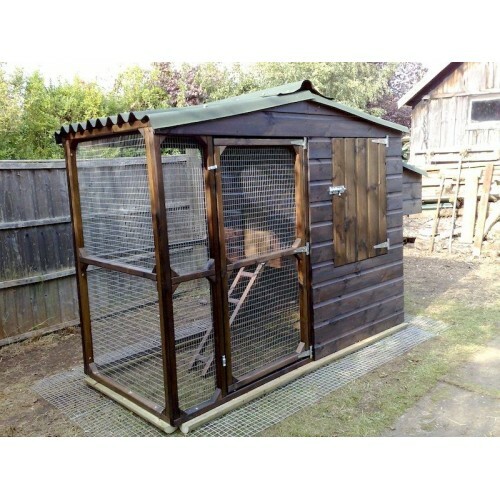 Excellent work of British made product.I have been searching online for many months to find the right chicken coop which is properly made and last for long time. I am so....glad to find Woodenart. I know that I made the right choice.Mark and Ian are very professional and friendly. They are very experienced. Excellen.. Fantastic hen house and great service from the guys. They were able to adapt it to our needs so that we could add an extension on the back if necessary. Really easy to clean out and nice large nest boxes. We have currently dispensed with the ladder as our girls were rubbish at using it and seem to bounce up into the house at night quite readily, however once they start to lay and are perhaps heavi..
Mark and Ian are fantastic! In the run up to the delivery they answered lots of questions I had about keeping chickens (I\'m a novice!) They turned up on time and were really friendly, taking the time to answer yet more of my questions and helping me to settle my new girls into their home. 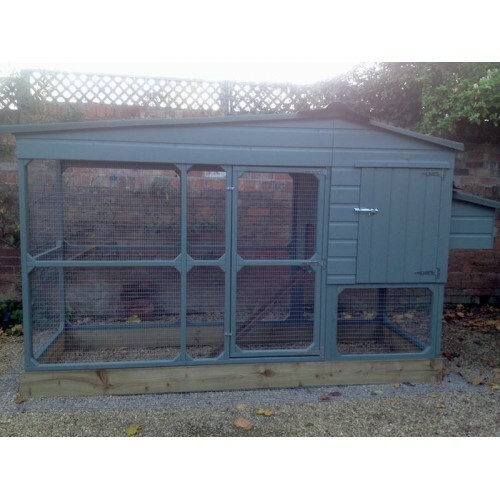 I cannot recommend them highly enough and am so pleased that all my research into chicken house companies pai..
Fab house, quality material and the two lads that delieverd full of knowledge and advice, im sooo happy with my purchase. Definately would recommend this to anyone. 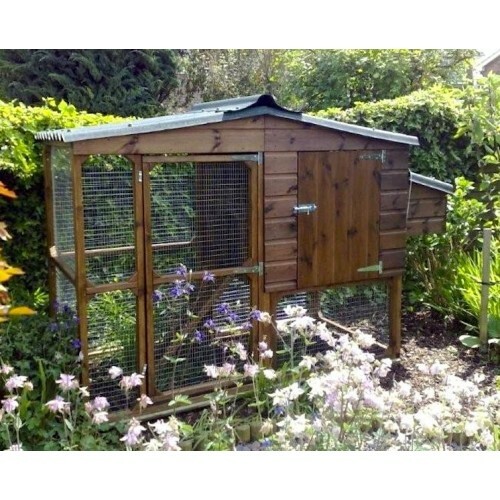 Very practical, stylish looking and very easy to clean and maintain too ..
Large Chicken House with large walk in Chicken Run is suitable for Chicken keepers who are unable to..
Chicken House with Chicken Run that is suitable for gardens to allotments to orchards, an easy..
Chicken House is suitable for laying Hens or Bantams, an easy clean fox proof Coop that can be place.. 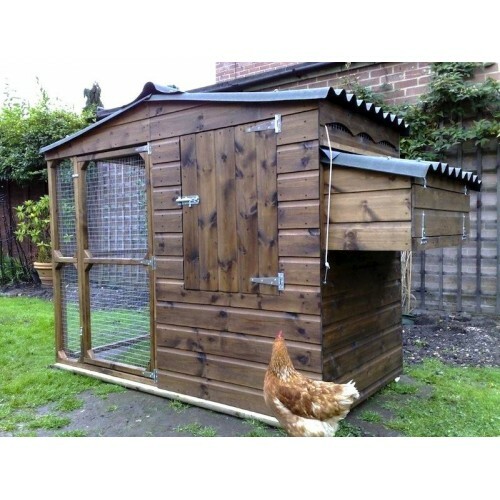 This Duck House is suitable for surburban gardens to allotments to orchards, an easy clean fox..